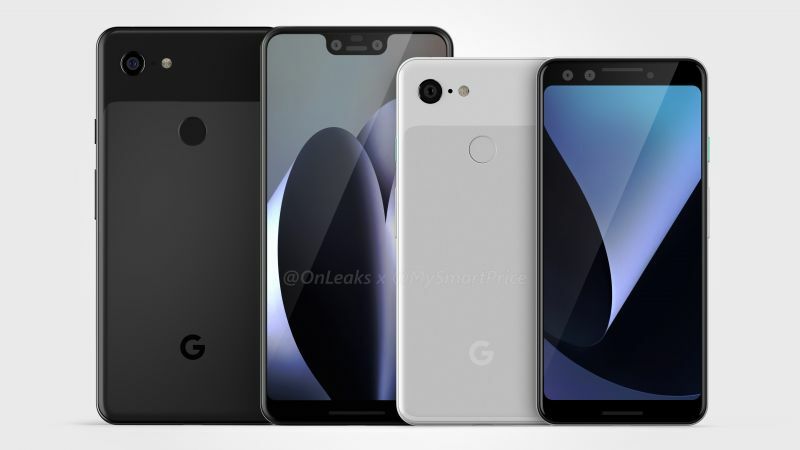 The renders are based on the previous leaks, showing the notch on Pixel 3 XL and an 18:9 display for the Pixel 3. Maybe Google could be implementing a 3D facial recognition system with the help of two camera sensors. The smartphone rumour market is full of renders and information related to the upcoming iPhone models expected to debut in September. However, Google’s flagship offerings are also set to break cover soon after that and leaks related to the Pixel 3 have already started raining. 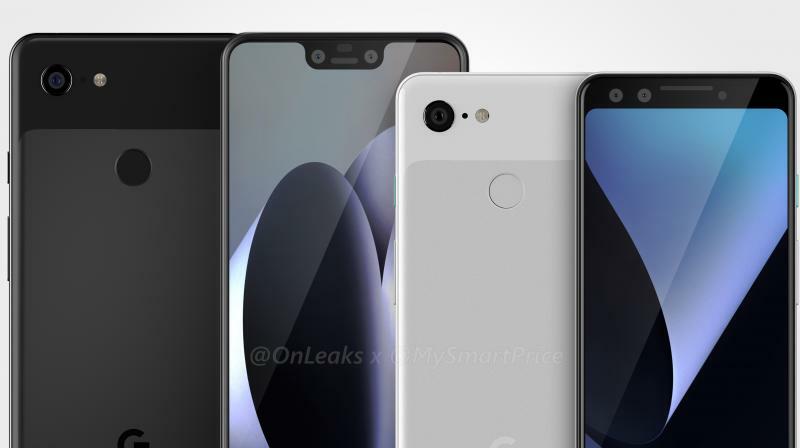 The latest one to hit the market is from OnLeaks and MySmartPrice, showing the Pixel 3 and Pixel 3 XL concept in 3D and they are pretty similar to the previous leaks we saw earlier this year. The smaller Pixel 3 is shown ditching some of its bezels by going for a modern 18:9 narrow and tall 5.3-inch display. The bezels are still noticeable with bigger front camera housing and the adjoining sensors. There’s a large earpiece with what appears to a dual front camera setup, which will be a first for the Pixel series, considering the current Pixel 2 makes do with single camera setups for both the front and rear. Maybe Google could be implementing a 3D facial recognition system with the help of two camera sensors. A stereo speaker setup is also visible. The rear is pretty familiar to the Pixel 2, barring the minor design tweaks such as the rounded edge of the metal section on the rear panel and the repositioned rear camera sensor. The fingerprint sensor stays though. Moving over to the larger Pixel 3 XL, we see a more modern notched-display design. However, instead of trying to hide the bezels, the Pixel 3 XL’s renders seem to flaunt them despite the modern proportions. The notch is fairly wide at 8.1mm, consisting of an earpiece and a dual camera setup along with the sensors. The chin is also fairly thick at 8.8mm, consisting of a second speaker, thus hinting at the presence of a dual speaker setup on Pixel 3 XL as well. The display is claimed to be spanning 6.2-inches. The rear is almost identical to the Pixel 3, albeit with a bigger Google logo. Judging by the leaks, it is evident that Google is willing to play it safe and follow the established design trends. These are still leaks, which is why you shouldn’t believe them blind folded.